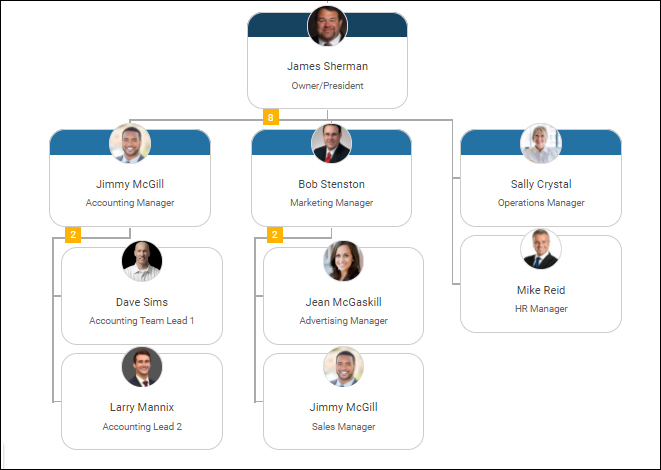 We’ve extensively covered how creating an org chart for your entire company can be immensely helpful to employees, partners, and customers. However, we want to highlight another way to Organimi that many may initially overlook — using Organimi to design, plan, and map out departments and small teams. For the same reason that creating an org chart for your company is useful, many also apply to smaller departments and teams. A great organizational map makes the onboarding of new employees easier. Employees will have simple ways to identify stakeholders. Partners can better understand your organization and form a more close-knit bond. Within smaller teams themselves, having your team mapped out visually allows managers to identify gaps within their teams and find overlapping skill sets. Creating a small team map in Organimi couldn’t be simpler. One upside of designing and mapping teams in Organimi is that you can always edit your charts at a later date. As your teams adapt and grow, so too can your team structure planning and internal charts. Organimi’s solution is fully-customizable, and ensures that you can keep your team documentation current. Having a map of your executive team is extremely important. For small to mid-sized companies, there is a very good chance that one or more members of your executive team will be involved in any large deal that you make. For that reason alone, it is important that the potential clients or customers that you are negotiating with are able to have an understanding of your internal structure. It allows for clean, consistent communication between parties. Beyond that, an executive org chart makes it easy for your own employees to visualize the internal structure of your senior members. This makes pitching new ideas, asking for meetings, and generally interacting with upper management more simple for your teams. You want to make sure that your executive team is accessible, but you want to arm your employees with the information that they need to ensure that they don’t waste anyone’s valuable time. Making a chart like this available internally and to partners helps to cut the middleman out when you are communicating with members of the upper levels of the organization. It gives you an idea of who should be next in line for you to reach out to, and who you may need to introduce yourself to in order to complete goals. 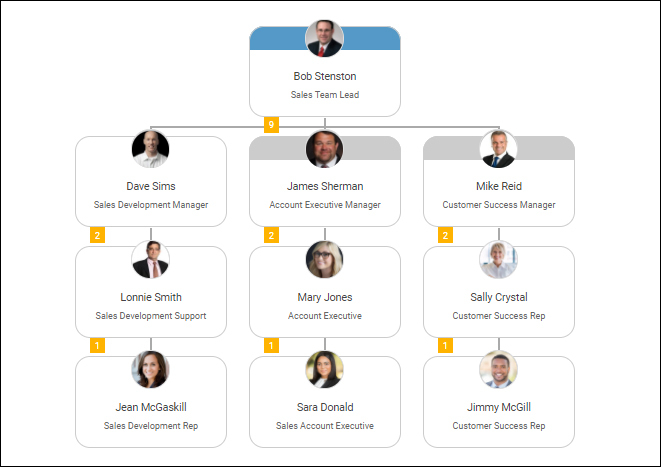 Transparency helps all parties involved, and creating a simple and straightforward executive team chart in Oranimi can be a great way to spell out the structure of your upper management and make future communications go more smoothly. In a previous post, we detailed the different types of sales team structures that are commonly employed by startups. For the sake of brevity, in this post we will only be using one example within Organimi. We will focus on the “Pod” structure, which is one of the most common structures for sales teams. Having a visual map of your sales team structure is very important. To start, larger deals may require that potential customers interface with multiple members of your team. 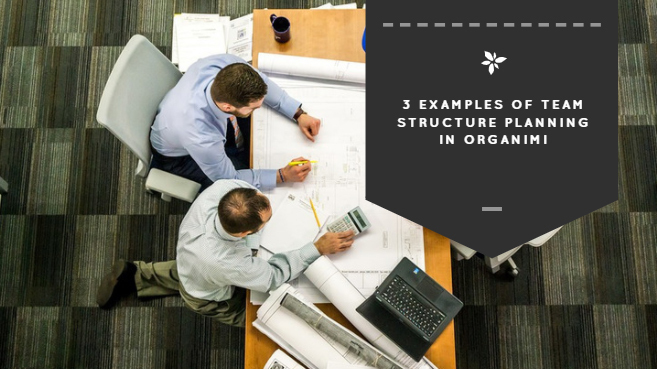 By providing them with a team org chart, you can ensure that they have an understanding of who they are speaking to and where they reside in the company’s food chain. In this example, you can see that a startup sales team that uses the Pod structure will have different specialists for all of the most important tasks that take place throughout the sales procedures. As you can see in this example, the sales team is divided into three main pillars of smaller internal teams. Each has a manager with 2 employees below them, making up one complete pod. As the company grows, they may decide to expand these teams or create additional lateral pods, depending on the type of structure they opt for. In recent years, marketing teams have really expanded. There are just so many different disciplines encompassed within marketing, that it makes sense to divvy up the responsibilities and have several pillars within your team structure planning. Your average marketing team with include both online and offline marketing teams. On the online side, they are often split down the middle between organic and paid strategies. Inside each of those buckets, are dozens of job titles that a person could hold. Your team may employ online marketing experts in content marketing, SEO, PPC, media buying, digital public relations, and a host of other disciplines. Offline marketing also includes a large number of potential focuses. For this reason, it is really important to map out your marketing teams and spell out what it is that each person does. When people within your company must reach out to the marketing department, there is a high likelihood that they won’t even know the basic differences between each job, which can make it difficult to understand who to reach out to. In marketing departments that contain several different teams, it can be nearly impossible. Notice how this simple example spells out the different areas of focus within the marketing department and provides a clear view of who works under who? 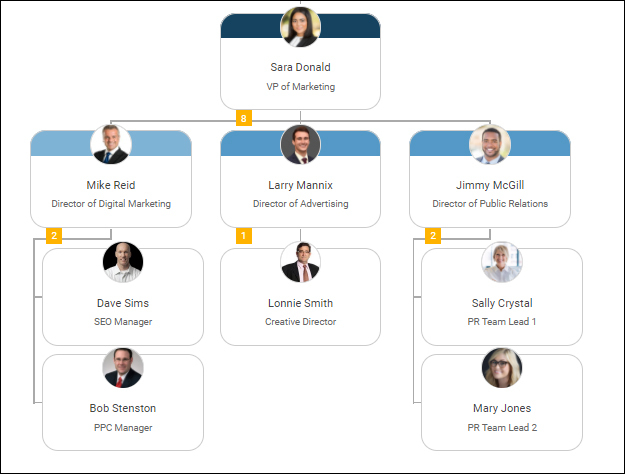 Creating an org chart for your marketing team will help a great deal with internal communications. The main point of this blog post was to illustrate how useful Organimi is for charting all types of teams and departments. The advanced customization features make it easy to craft your own org chart in a way that matches the structure of your own company. Plus, you can easily update your charts as you experience turnover or hire new people. Organimi is the best solution for charting small teams quickly and easily. You can export your chart in several formats, and share chart links to your teams within your company.